The Newcomer and Refugee Artist Mentorship program provides funding for newcomer and refugee professional artists to be mentored in their chosen artistic discipline. The program is open only to professional artists who arrived in Canada after January 1, 2010 and who live in the City of Toronto. 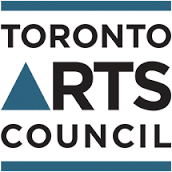 Join Rupal Shah from Toronto Arts Council and Inés Aguileta from Neighbourhood Arts Network to learn more about the Newcomer and Refugee Artist Mentorship program. We will be talking about who is eligible to apply, how to find a mentor and how to get started on your application. Please e-mail rupal@torontoartscouncil.org to reserve your spot in the session. Include your full name as well as any translation services or accessibility services you require.